A look at the development of Nebraska-born International architect Vincent Snyder’s design for the Umonhon Interpretive Center and Museum to house the Sacred Pole. Who is OTHRP and what have they done over their 30 year history. A look at the modern He’dewachi [powwow] in Macy NE. It is the oldest documented dancing festival of its kind, dating before Lewis and Clark came up the Missouri in 1804. What have the Omahas achieved over the past century of culture clash? Outstanding Omahas from the turn of the last century in annotated pictures. Historic Photographs reinterpreted in Oil Painting by OTHRP’s resident artist Margery Coffey. 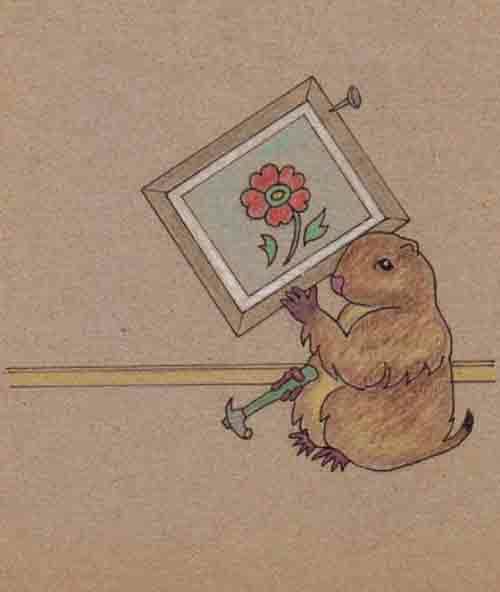 Coffey’s artwork has been seen in over a dozen states including both coasts. 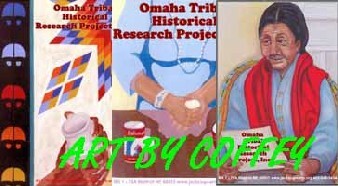 Rich resource book on the Omaha Tribe. Compiled by OTHRP, it includes a workbook on the language as well as history and websites on music and famous Omahas. A "whole earth" catalog on this tribe this book was originally designed to help Omahas who were taken away from the tribe to find their way back. The 198th Omaha Tribal He'dewachi whose history begat the modern PowWow. 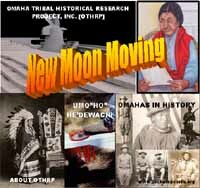 A pictorial review of past Omaha PowWows along with a narrative as to why the Omaha Tribe's PowWows are special. It was the first one to be documented by the dominate culture. Lewis and Clark noted it in their journals in 1804. On the bicentennial celebration of the Lewis and Clark military expedition, the Omaha have been systematically left out of the history books. Credit instead has gone exclusively to Sacajawea who only traveled a portion of the journey. This documented paper rights some old wrongs. the artifacts and sacred items taken from the people over a century ago. Help right a historic wrong by being a part of the return of a culture, make a donation with or without a purchase. If you enjoyed our site or use information found on this site in your academic or professional research, please show it by making a donation to our Interpretive Center/Museum project. People helping people makes the world a better place. 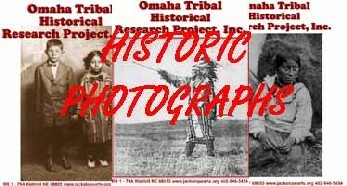 Omaha Tribal Historical Research Project, Inc. This site is the work of an all volunteer multi-cultural group of people. We update it regularly so that it is timely and useful. It is constantly expanding as we bring new information and new art pieces to the public. This is a free service given willingly by people who believe in promoting artisans and in helping the Omaha people built their museum for their artifacts and sacred objects that were finally returned to them in 1991. We ask that you join us by telling others about the site and to make a donation to the museum. Every little bit helps.